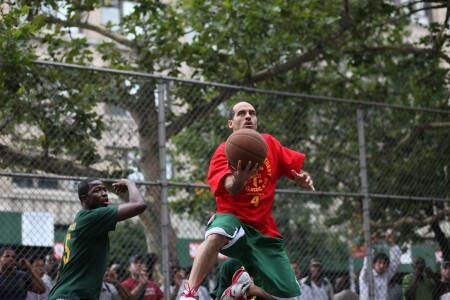 Bobbito Garcia is an NYC native and entrepreneur who has built an empire on passion. He’s taken his love of basketball and writing, and turned it into a career. 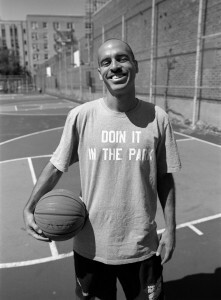 Bobbito is a former NY Knicks/MSG Network halftime reporter, author of Where’d You Get Those? NYC’s Sneaker Culture: 1960-1987, radio co-host of the legendary Stretch and Bobbito, an award-winning filmmaker, and he was the voice of EA Sports’ NBA Street video game. That’s only a glance at his accomplishments. Adding on to his resume, Bobbito will be sharing his experiences as this year’s keynote speaker at the 2016 Latino Youth Conference hosted by our Black and Latino Achiever’s Program. You were able to take something you love and turn it into a career. How would you advise today’s youth to do the same? I’ve been able to take a number of things that I love and turn them into careers. The one thing that’s been common in all those different spaces is that I basically try to figure out what’s missing and fill the void. I have no interest in doing things that have already been done. I try to find a way to provide a service or a platform that wasn’t there before. I create the demand for it and that’s how I’m able to succeed. And there are things that are irreplaceable, no matter what the space—working hard, educating oneself, creating networks, being kind. It doesn’t matter the industry—they’re things that help people succeed. Through finding your niche, you’ve found your voice—both literally and figuratively. You’ve done a lot of video and radio, but you’ve also written books and created a great social media presence. What would you tell kids who haven’t yet found their voice? How would you suggest they market themselves? Finding one’s voice is not something that happens overnight, or even in one’s lifetime. I feel grateful that I was able to take the things I was passionate about in my childhood—like basketball, music, and sneakers—and cultivate a career path that had not been created prior. I’ve created my own path in each space. It’s something that’s constantly changing. Looking back on my life, I’m not even sure how I did it. But, I got through it. Somehow I figured it out. Sometimes things will be scary, but you’ll figure it out. You just have to be smart every step of the way. What was the biggest hurdle you faced on your road to success? I’m still struggling. I’ve never really settled into one space for too long. I worked in the music industry for four years, then I left it. I did radio for 12 years, then I left it. Now I’ve been doing film for five years, and maybe after this next film, I’ll leave that. I like challenges. The struggle early on was finishing school, clearing out my debt, and creating some sort of economic foundation to move forward with. That’s a tricky one in this day and age with the cost of college being so high. I didn’t have anyone to fall back on, financially. I had to be frugal, even at a young age. I didn’t own a car. I’d never been a smoker or a drinker—so whatever money I earned, I turned back into income, revenue, and savings. I never really spent money that wasn’t going to help me in the long run. Did you know what you wanted to be growing up? I knew I wanted to play pro ball, but I didn’t know that I could play pro ball. I knew I wanted to write, but I didn’t know that I could write. I’m a person of color. Growing up in the 60’s and 70’s, there weren’t a lot of role models. There was no one I could look up to and say, oh he did that, maybe I could too. Really, the role models that I had were negative ones—people who had talent, but were underachievers. I was able to use their examples as standards of how I didn’t want to wind up. That’s what really pushed me forward. All of it. 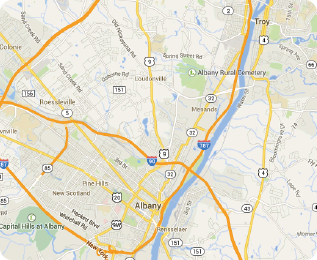 I can share that I graduated at the bottom tenth percent of my class at Wesleyan University in 1988. I wasn’t someone who people in the administration and faculty would have pegged to be as successful as I was in literature, film, music, and sports, especially since I was cut from my college team three years in a row. I didn’t really use school, government, or corporations to validate my worth, my will to succeed, or my insight. If you’re a student getting great grades, that’s great! But don’t rest on your laurels. That doesn’t mean you’ll earn a big paycheck. You still have to work hard. And to those who haven’t gotten great grades, you can still do great and do fulfilling things that help people. Even with all that negativity, how did you find motivation and maintain it throughout your lifetime? I always feel like I can outwork people. My mother had a phenomenal work ethic and my father was super creative and outgoing. I used the combination of both of them and turned it into my mindset of how to approach my life. I’ve also done a lot of good things for a lot of people along the way. That kindness reaps a lot of good dividends. When you’re good to people, they want to be good back to you. Is there a specific moment where kindness overruled everything else? I became the first Latino announcer in the 60-year franchise history of the Knicks in 2006, and I got that position simply because I used to see this dude at the gym—he was a nice guy, I’d always say hello, what up—I didn’t know he worked for the Knicks. I didn’t know that the whole time he was checking me out. The opportunity came out to be a host for the MSG network and I didn’t even have to audition. He just called me up. That’s one example of how kindness unexpectedly provided me a real jewel. Finally, what are three words you would use to describe your journey?